If you’ve ever seen a color that was so gorgeous you wished came in the form of a lip stain, or longed wistfully for a lipstick that you wore years ago, here’s some pretty amazing news. An app called Flawless can help you find your fantasy lipstick shade and even allow you to recreate an old one you had that was discontinued. That’s right, you might just be able to bring your long lost lipstick love back from the dead! When it comes to recreating a discontinued shade, the app has an interesting process. It asks you to type in specific item details such as the brand, the product name and UPC number. It may sound a little shady, but as Teen Vogue points out, many cosmetic brands actually purchase private label products from manufacturers and stick their own branding on it to sell. Since the lipstick formula is most likely not patented, it would be easy for the app to create the proper dupe. If you just want to create your own inspired custom blend, you would take a photo of whatever you want a lipstick to match—whether it’s a nail polish or the flamingo-patterned wallpaper you once saw in a hotel room—and upload it to the app. It will then try to find an existing lipstick that matches closely or ask if you want to create your own, which starts at $45. 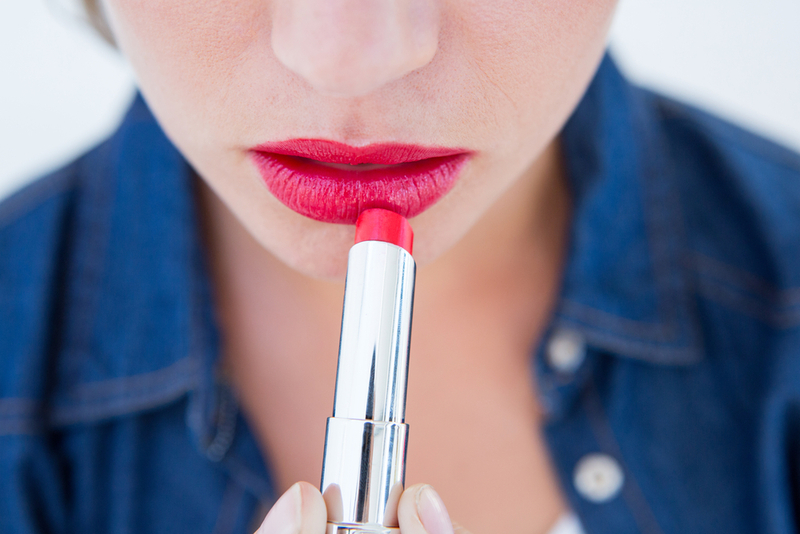 It might seem like a hefty price to pay for lipstick, but not so much if it’s your dream shade!